When it comes to body odour, some deodorants just don’t cut the mustard. Depending on your body chemistry and the amount of sweat you produce daily, most aren’t friendly on the skin, leaving awkward sweat patches. What’s more, many deodorants are full of harsh chemicals, synthetic ingredients, palm oil, parabens and artificial fragrances. 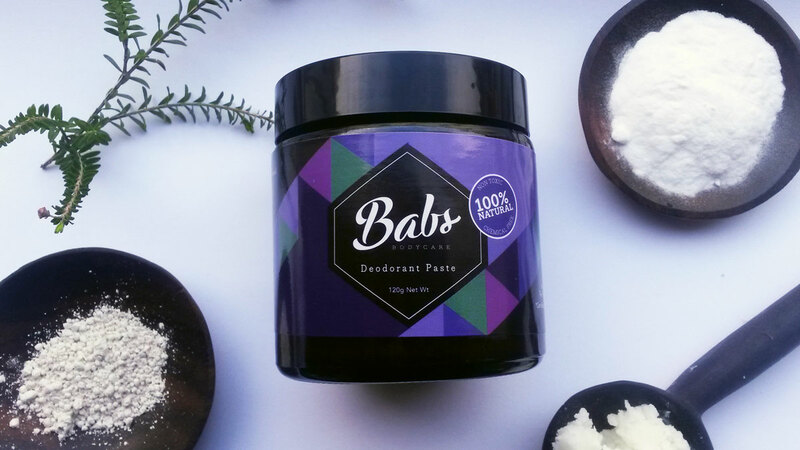 Melbourne-based skincare brand Babs Bodycare, reinvents the antiperspirant with their range of 100% natural and Australian-made Deodorant Crèmes. Babs Bodycare Natural Deodorant Creme has been specially formulated using a range of natural and locally-sourced organic ingredients, including Coconut Oil, Bees Wax, Arrowroot and Shea Butter. It doesn’t matter if you have skin that gets easily irritated to other deodorant brands. Now here is a brand that has safe ingredients for dry, sensitive and combination skin. It will both neutralise offensive body odours and eliminate harmful toxins and bacteria from the skin. Providing antiseptic, anti-fungal and anti-inflammatory benefits, the daily Deodorant Crème controls sweat, soothes irritated skin and nourishes the epidermis with vitamins A and E. Both guys and girls can use it, choosing from Tea Tree and Citrus scents. It’s $14 for 120g or $9 for 60g.